… and it made me think a bit more about maintaining a healthy weight. I read a lot about how most people who manage to lose weight gain it all back and then some. It makes me wonder if I am some freak of nature because I managed to lose 17kg and almost three years down the track I am keeping it off without any real difficulty. I think a lot of the problem is that people make temporary changes to lose weight, and then they go back to their old habits and the inevitable happens. When I decided to lose weight I started by cutting out added sugar. I have known for a very long time that my system does not react well to large amounts of sugar. In a situation where I could make my own food choices I found it easy to avoid sweetened foods. I started looking at everything I was eating and making a conscious effort to eat nutrient-dense foods. 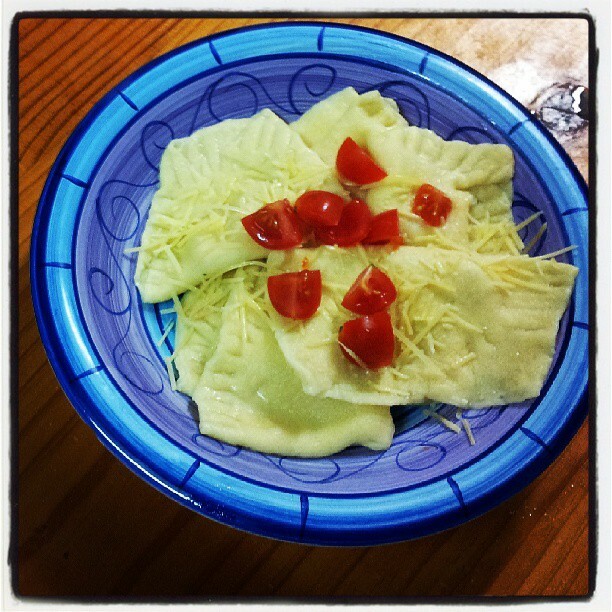 Then I started leaning towards more natural and less processed foods. I drank nothing but water. From that point, it was easy. I didn’t even take up exercise until more recently. These days I exercise because I want to be fitter. I am even starting to actually enjoy it. So why is it that I could make these life-altering changes with such relative ease when so many others fall off the wagon? Over my lifetime of having a family of yo-yo dieters, I have seen and heard and read many times phrases like ‘lose 12 kilos in 12 weeks’ or ‘drop two dress sizes in two weeks’. The goals are short term. Nobody tells you what to do when you get to your goal weight or fit back into your ‘skinny’ clothes. So you go back to your old ways and of course, before you know it you are right back where you started. I don’t count calories, although I did for a little while. I used a calorie counter to find out where I could easily reduce my energy intake. Things like bread and butter, cookies and high-energy snacks were letting me down. With help from the calorie counter I learned how to make food choices that reduced my overall energy intake. Without resorting to ‘low fat’ foods or starving myself. I’ve had times where my weight started to creep back up. I have noticed it, and stopped it, then turned it back around. It is much easier to lose a kilogram than to lose 12. The end of your diet isn’t really the end. Eating well and exercising is for life. I also wonder if my motivation is different. These days I eat well and exercise regularly because my life literally depends on it. I have to keep my body in the best condition possible to keep the surgeon’s knife at bay. After two open heart surgeries the thought of a third one terrifies me, and the risks are great. But I have a severely leaking valve, and there is every chance that one day my heart will not be so able to cope with the inefficiency and I will need another surgery. 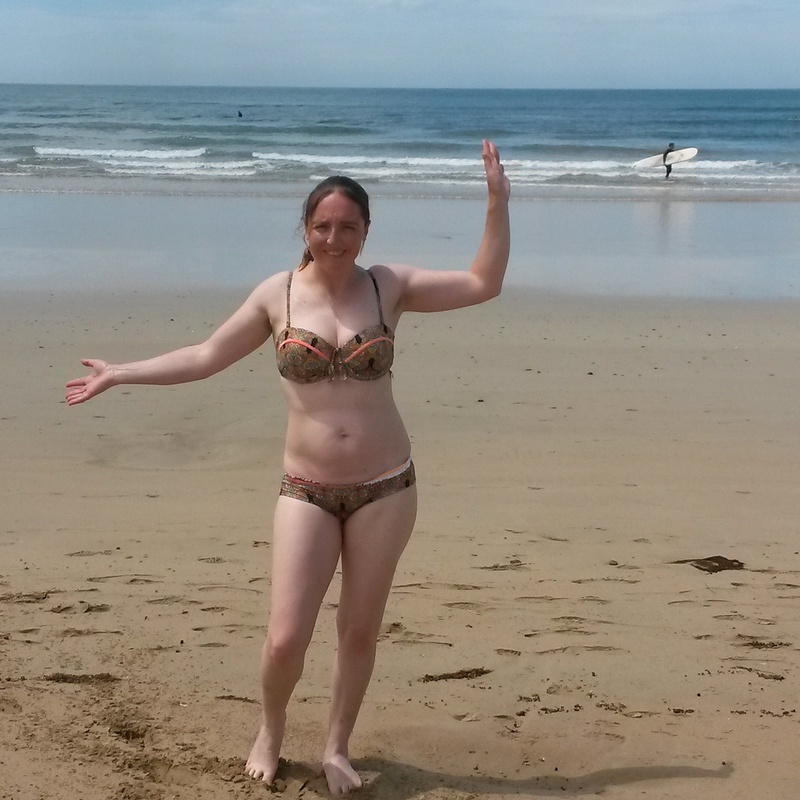 Looking after my body makes me feel like I am doing all I can to essentially prolong my life. The side effect of being healthy is that I look and feel good. I mix strength and cardio exercise and I like the results. I almost have muscle definition on my stomach. I don’t have ‘tuck shop arms’. I also have plenty of energy to keep doing all the things that I like to do, that in turn help to keep me and my family healthy. But if this fear of poor health and desire to look and feel good is enough to motivate me, why doesn’t it motivate everyone? Why are so many people content to load up their systems with crap, to willfully consume toxins, acidify their bodies and make themselves sick? Obesity and inactivity increase the risk of many of the diseases and disorders that kill the majority people every year in the western world. Reducing your weight and increasing your exercise helps you to live longer. Why doesn’t everyone do it? Do the people who lose their 12 kilos in 12 weeks not feel better for having lost it? Do they not like the results of their efforts? Why, once they have seen the other side, do they go back? Another prevailing attitude that puzzles me is ‘falling off the wagon’ while ‘dieting’. People say they were doing well, eating the right foods, and then they had a ‘blowout’, so they decide to drop the diet and start again next week. This doesn’t make sense to me, but it may be the difference in the approach. If you make changes for life, to reduce your energy intake and minimise sugary and fatty foods rather than cutting them out altogther, then eating a piece of cake is not ‘failing’. You don’t have to write off that week or even that day. Just make your next food choice differently and keep going with your changes. I still love pizza and chips, although I hardly ever eat biscuits or cake any more and lollies quite frankly gross me out. I eat loads of full-fat dairy products, but also loads of fruit and veg. Sugar really does make me feel unwell, and by eating very little of it I notice when I have too much. I want to see my children grow to adulthood, I want to enjoy the fruits of my labours on the farm. I want to bask in the happiness and stability that I have fought so hard to attain. 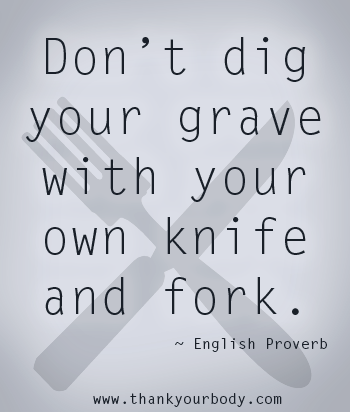 Don’t dig your grave with your own knife and fork. Enjoy good food, but respect your body. If you want to be healthier, perhaps try making life changes rather than setting weight goals. Your life depends on what you eat every bit as much as mine does.